A letter from Dr. Mario Beauregard, author of the book The Spiritual Brain was published in the January 2012 edition of the respected international medical journal called Resuscitation. 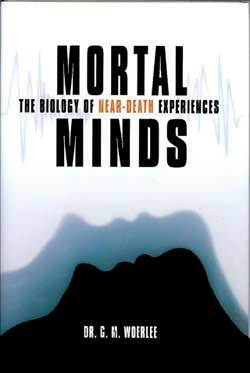 Its content has been prominently featured in the website of the International Association for Near-Death Studies as further proof of the immaterial reality of the nature of experiences undergone during near-death experiences (NDEs). The letter is entitled, "Conscious mental activity during a deep hypothermic cardiocirculatory arrest? ", and can be downloaded by clicking on this link. Below is a summary of the letter. "Conscious mental activity during a deep hypothermic cardiocirculatory arrest?" describes the preliminary results of a retrospective questionnaire study of 70 patients who underwent deep hypothermic cardiac arrest for surgery of the aorta at the Sacre Coeur Hospital in Montreal between 2005-2010. (Deep hypothermic cardiac arrest is the same procedure as was undergone by Pam Reynolds during 1991.) 33 persons returned completed questionnaires, and of these, 3 patients reported periods of awareness during the procedure. One of these persons was a woman when 31 weeks pregnant during 2008 when she developed a life-threatening aortic dissection. She underwent an caesarean section to deliver a baby boy, and was subsequently taken to the surgical operating theater where she was put under general anesthesia to undergo an operation on her aorta under deep hypothermic cardiac arrest. Sometime during the operation she underwent an out-of-body experience during which she made apparently veridical observations (verified only by the cardiothoracic surgeon), experienced feelings of peace and joy, as well as seeing a bright light. It was uncertain whether this experience occurred during de period of hypothermic cardiac arrest. During the last decade, prospective studies conducted in the Netherlands, United Kingdom, and United States have revealed that approximately 15% of cardiac arrest survivors report conscious mental activity while their hearts are stopped. People can be conscious for up to 10 seconds after sudden total cessation of heartbeat (Rossen R, et al, (1943), Acute arrest of cerebral circulation in man. Archives of Neurology and Psychiatry, 50: 510-528. In the real world of cardiac arrest, various studies show that people become unresponsive, or apparently unconscious, about 9-21 seconds after onset of various common causes of cardiac arrest (Aminoff MJ, et al, (1988), Electrocerebral accompaniments of syncope associated with malignant ventricular arrhythmias. Annals of Internal Medicine, 108: 791-796. Some people require heart transplantation because their hearts function so badly that they are barely able to stay alive. Many of these people die while awaiting a suitable human transplant heart, so some technically advanced medical centers in the USA remove the diseased heart, and replace it with a pneumatically driven mechanical heart to keep these people alive while they await a suitable transplant heart. Such a mechanical heart not only keeps these people alive, but enables them to resume reasonably normal life (see Copeland 2004). These people have no heartbeat, yet they are alive, physically active, and conscious with normal brain function in spite of an absent heartbeat. 48% of persons reported auditory perceptions. Therefore, 52% remembered no auditory perceptions. 36% of persons reported experiencing anxiety and stress while aware during general anesthesia. Therefore, 64% of persons experienced no anxiety or stress during awareness while under general anesthesia. 28% of persons reported experiencing pain during awareness while undergoing surgery under general anesthesia. Therefore, 72% of people reported experiencing no pain while aware during surgical procedures performed under general anesthesia. J.S. first underwent an emergency caesarean section. After having successfully delivered a baby boy, she was then transferred to a surgery room to undergo the replacement of the ascending aorta. She did not see or talk to the members of the surgical team, and it was not possible for her to see the machines behind the head section of the operating table, as she was wheeled into the operating room. J.S. was given general anesthesia and her eyes were taped shut. This is a very strange passage. Does this mean she underwent her caesarean section under spinal / epidural anesthesia, which are types of local anesthesia commonly used for caesarean section. It seems unlikely that an anesthesiologist in a technologically advanced hospital such as the Sacre Coeur in Montreal would do this with a person in a life-threateningly unstable circulatory situation, as was evidently the situation of this woman. Spinal or epidural anesthesia in such a situation is potentially lethal, so general anesthesia is more likely, with its attendant high chance of awareness. Why was she not simply put under general anesthesia in one operating theater, to first undergo a caesarean section, and subsequently the replacement of her ascending aorta? This would eliminate the risks of two different anesthetics, as well as the transfer of an unstable patient. A much safer and more logical series of events. These are some of the reasons why "Conscious mental activity during a deep hypothermic cardiocirculatory arrest?" is a very strange and misleading report. This brings us to the matter of her period odf awareness while on cardiac bypass. There are several reasons why people on cardiac bypass have a high chance of developing awareness. In the case of the woman reported by Mario Beauregard, we read nothing about the nature of the anesthetic. In fact, he ignores the anesthetic aspect entirely, while the nature of the anesthetic determines that chance of awareness. Again, another very curious and strange aspect of this letter. So what are the factors making awareness likely during cardiac bypass? Patients in an unstable circulatory situation are generally administered lighter anesthesia, because all general anesthetic drugs depress heart function, and often cause blood vessels to widen. Either, or both of these effects can cause the blood pressure to plummet. This is why ligher anesthesia is used in such situations. One of the more circulatory stable anesthetic techniques is a high dose opiate - oxygen anesthesia. But this is a technique associated with a higher incidence of awareness. The heart-lung machine used for cardiac bypass contains a volume of "priming fluid" which dilutes the concentrations of anesthetic drugs in the blood and brain when cardiac bypass is started. This sometimes reduces the brain concentrations of these drugs such a degree that a person awakens after cardiac bypass starts. Note that a person on cardiac bypass has no heartbeat, but blood is pumped around the body and the brain by the cardiac bypass machine. As to the matter of the out-of-body experience (OBE). It is being increasingly realized that OBEs are manifestations of abnormal displacement of body image induced by a multitude of factors. In fact the study of OBEs is the subject of considerable international standard neurological research (see Brugger, et al, 2009). 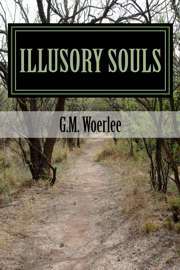 Drugs used for anesthesia are all known to induce OBEs as well as the feelings of peace and joy described by Mario Beauregard (see Illusory Souls). In conclusion, the letter "Conscious mental activity during a deep hypothermic cardiocirculatory arrest?" in no way supports the belief in a separable immaterial consciousness. Mario Beauregard implies this possibility in a roundabout and tendentious manner, but the facts as reported in this letter raise more questions than answers. It would be interesting to see the actual operation reports, to learn the locations of the operating theaters, and especially interesting to see the anesthetic reports to determine whether consciousness was possible. Until such information is available, this report remains no more than described, misleading, suggestive, and providing too little information to form any conclusions.